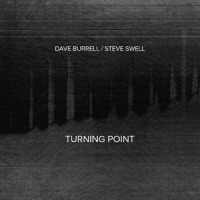 Dave Burrell's dual association with early jazz and the avant-garde gives his playing a grounded originality. 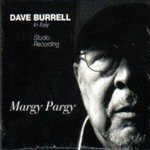 Margy Pargy spends an easygoing near-hour with the pianist's solo ruminations on classics and his own wily compositions. Like his frequent collaborator Archie Shepp, he reaches effortlessly through time to retrieve all flavors of the blues, while incorporating unflinching romanticism and an uncluttered wit. The old chestnut "I Only Have Eyes For You saunters in with worldly nonchalance. While Burrell's right hand plays it straightforward, his left offers sly variations. Opening with a looping Monkism, "Expansion rolls on little wheels like a gear box. "DB Blues employs creative modulations that convey a sense of earlier times. The brief, quirky Prelude to Crucificado gives no hint of the humid intensity waiting in the subsequent "Crucificado. Latin harmonies in stately minors unfold dramatically as Burrell lightens the heaviness with playful variation. The title track paces in circles, incorporating modernized ragtime structures. Burrell walks Strayhorn's "Lush Life down some unexpected alleys, ending it sweetly. His take on "My Foolish Heart recalls Monk's ability to play an older tune and lovingly tweak and deconstruct it, always guided by a genuine love for the piece. Cole Porter's "So In Love ends the collection with a dark, direct interpretation. 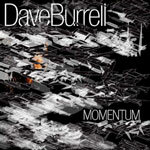 Burrell's stylish elegant performances inhabit a space poised between past and future with plenty of technique, boasting reverent roots as well as forward vision. Track Listing: I Only Have Eyes For You; Expansion; DB Blues; Prelude to Crucificado; Crucificado; Margy Pargy; Lush Life; My Foolish Heart; So In Love.